Is Courtney Love really an YSL woman? The new face (muse) of Saint Laurent’s campaign is Cournty Love?! I am really curious to learn what Hedi Slimane’s definition is of the SL woman. I can only imagine the confusion of the women who adored Yves Saint Laurent and the woman he created with his designs. I normally don’t use my blog to speak very negatively about something or someone, but Courntey Love is a woman with no taste in style and life. Who would have thought that she and Jessica Chestain would be the face/muse of the same brand? I can understand that a designer want’s to put his stamp on the fashion brand he designs for, but what Slimane is doing with YSL is really beyond my comprehension. My statement is, that if you want to do your own thing in such extremes…start your own label but don’t destroy a heritage like the house of Yves Saint Laurent. I think one has to have a special talent to design for an established brand, understand the heritage but give it a new modern injection like we see at Chloe and Dior. 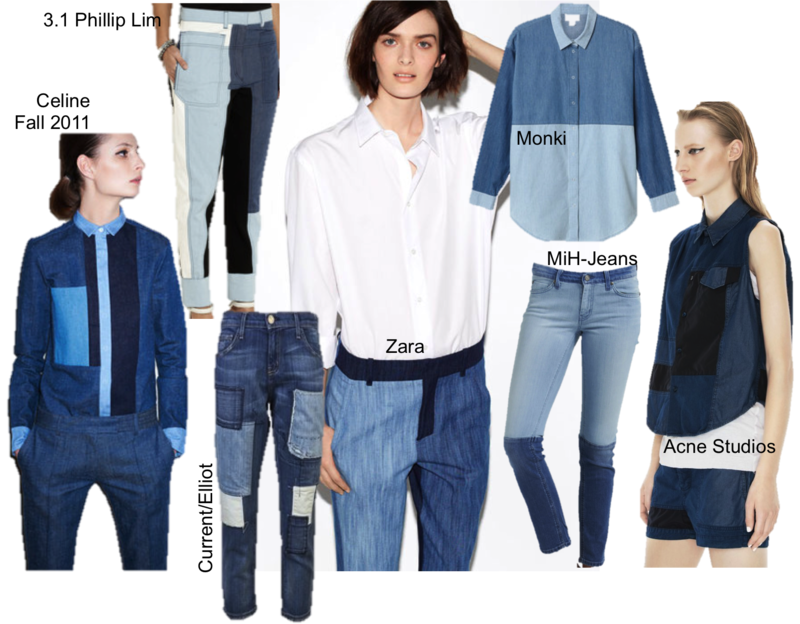 New jeans trend this season: patchwork! It’s cool and fun and you can make it as wild or sophisticated as you want. Credits go to Celine, as she already put it on the runway for fall 2011. 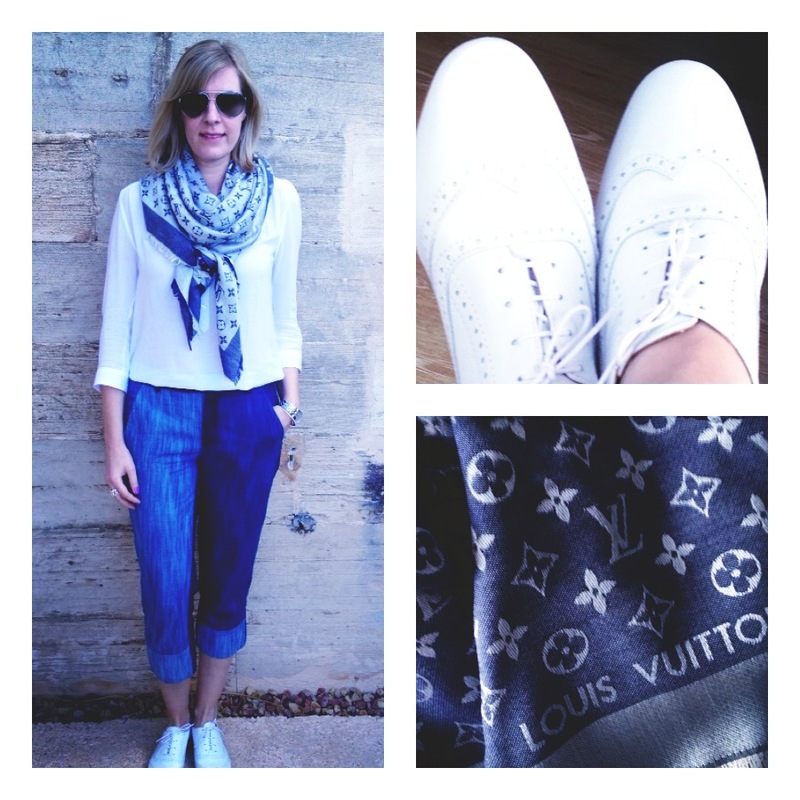 This combo from Diane Kruger is a true hit, combining two trends of the season: patterned pants and patchwork shirt. And the trend continues for next season. London fashion preview for fall and winter 2013/14 showed a lot of patchwork and paneled fabrics on sweater jumpers, wide-leg trousers, gartered sweatpants, dresses and coverall long skirts.